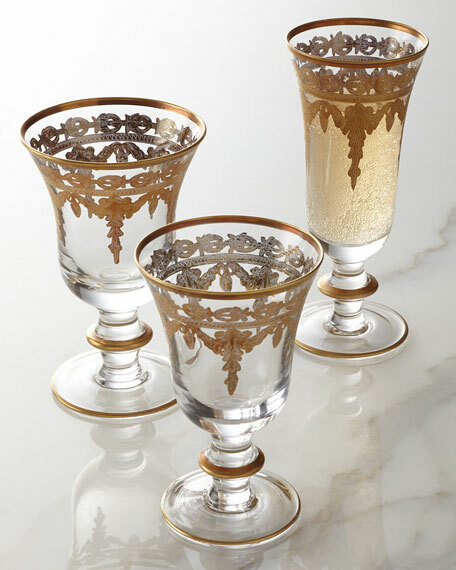 Handcrafted Vetro Gold wine glass. 3.75"Dia. x 5.75"T; holds 5 ounces. 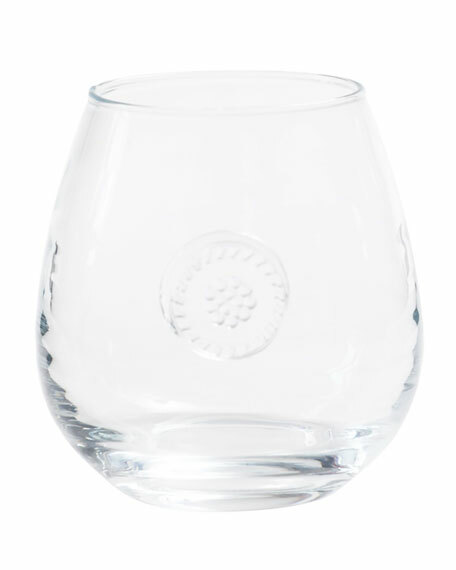 Hand-etched glass with hand-painted 24-kt. gold accenting. Hand wash. Made in Italy. 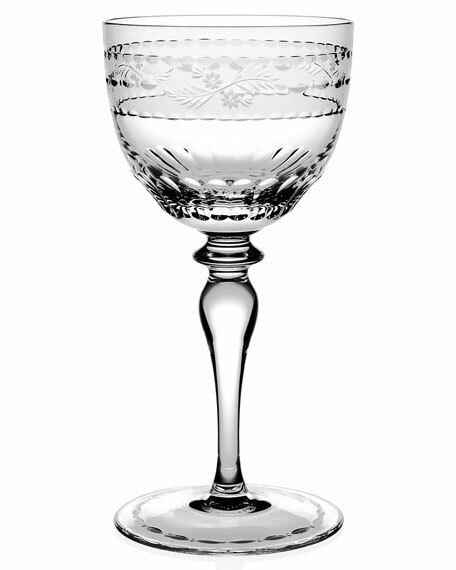 Wine glass designed by Thomas Bastide. Lead crystal. 6.125"T; holds 9.875 ounces. Made in France. 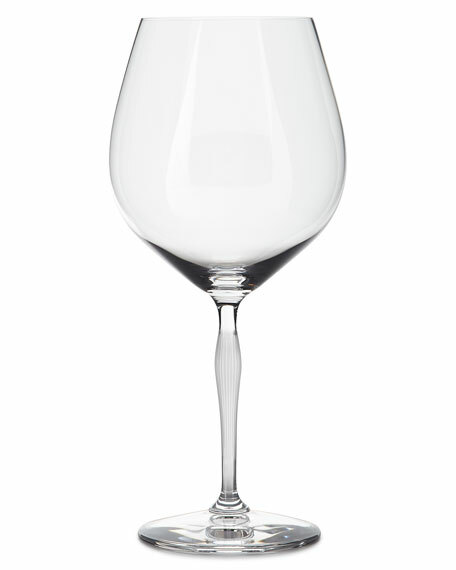 Mouth-blown stemless red wine glass. 4"T; holds 18 ounces. Dishwasher safe; hand washing recommended. Not suitable for hot contents or freezer or microwave use. Made in Portugal. A collaboration between Lalique and James Suckling. 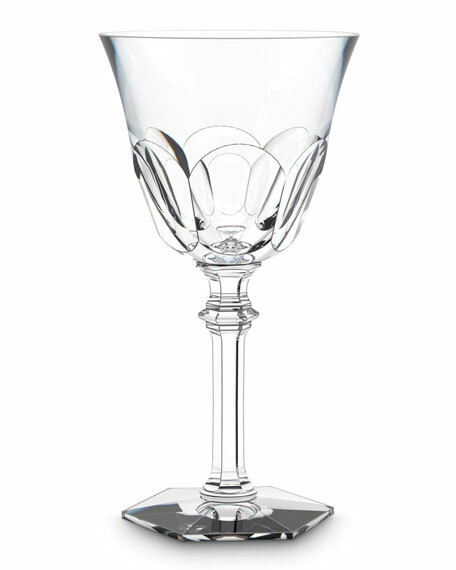 Handcrafted Burgundy glass. Lead crystal. Approximately 9.125"T; holds 20.29 ounces. Hand wash. Made in France.